Manor Mews01485 528508work Self-cateringNestled in the beautiful Norfolk countryside just 8 miles from the ever popular Burnham Market and beautiful wide sandy coastline is Manor Mews, a family run, sympathetically converted complex providing modern luxurious comfort whilst retaining the character of traditional brick and flint Norfolk farm buildings. 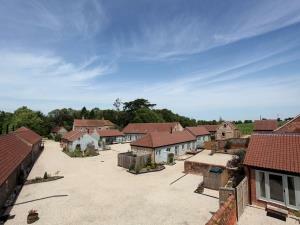 Nestled in the beautiful Norfolk countryside just 8 miles from the ever popular Burnham Market and beautiful wide sandy coastline is Manor Mews, a family run, sympathetically converted complex providing modern luxurious comfort whilst retaining the character of traditional brick and flint Norfolk farm buildings. Hot tubs Ground floor bedroom Non smoking establishment Children welcome from any age.